What: State Sen. Robert Hertzberg and Assemblymember Jesse Gabriel will join hundreds of California State University, Northridge students as they spread out across the Northridge community to take part in several beautification projects on and off the campus, as part of the university’s annual Matadors Day of Service. University officials have collaborated with local community leaders, including Los Angeles City Councilmember Mitchell Englander’s office, Northridge Beautification Foundation, the three Northridge neighborhood councils and Southern California Gas Company (SoCalGas) to strengthen CSUN’s relationship with the area — and to continue a tradition of service started in 2015 with CSUN students. 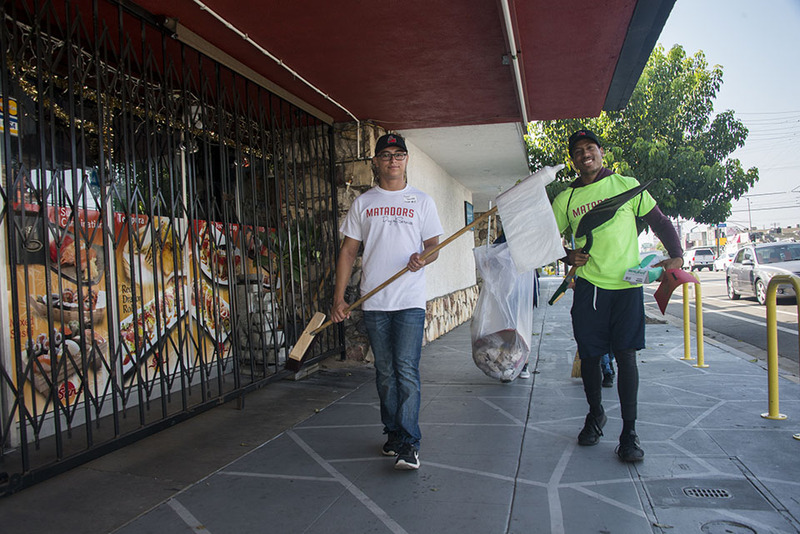 Matador Day of Service will focus on the neighborhoods surrounding the university and will include such projects as street sweeping, litter cleanup and weed removal, as well as gardening projects at the campus garden. Media Contacts: Carmen Ramos Chandler, CSUN Media Relations, (818) 677-2130, or Maria Elizondo, Matador Involvement Center, at the event.